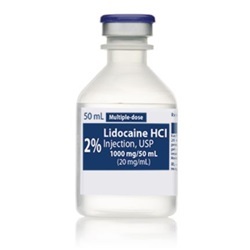 Injectable lidocaine HCI 2%, in 50mL multi dose vial. 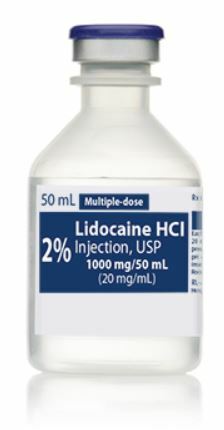 Plastic flip-top vial with dark blue cap. Manufactured by Hospira. NDC: 00409-4277-02. Comes as singles.